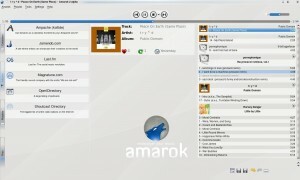 The first alpha of Amarok 2 has been released. My first time as release gal. Turned out to be a little more complicated than I expected due to broken scripts and lacking documentation. But well. Worked out very well in the end. @Fri13: No packages are provided yet. For any distro. I just send an email to the packagers a few hours ago. They will decide if it is suitable for their users or not and will then package it or not. About openSUSE: NEON packages are available. They just need more testing and are therefore not yet official. Ask for them in #amarok.neon on freenode. Thanks. As Amarok from my SNV version still crashes quite often, could you please write a short blog entry about which kind of end user testing and bug reporting would be helpful to you? Wow, this must be one of the worst, ugliest user interfaces I’ve ever seen. Can I buy some more space, please? Oh, and some more areas which I can fill up with random stuff (like gorgeous 3+ column web sites). Ok, it’s an alpha, but judging from my experience with perfectly stable KDE releases, I’m not sure the UI will change/improve. @Furanku: I will try to if I find the time. Thanks for the tip. @Shocked: We just got a new very good artist who will help with the UI. We are aware that it is not perfect just yet. It will change. Hmm. Well I googled malina. Youtube shows some half naked dancers, wikipedia tells the story of an inuit woman that cut off her breasts and told her brother to eat them. @Leo: The latter. It is Inuit folklore. Rather brutal the way you tell it. But there are slightly different versions of the story. And it is not so much about the name being descriptive for Amarok. It is about making people aware of the Inuit culture. 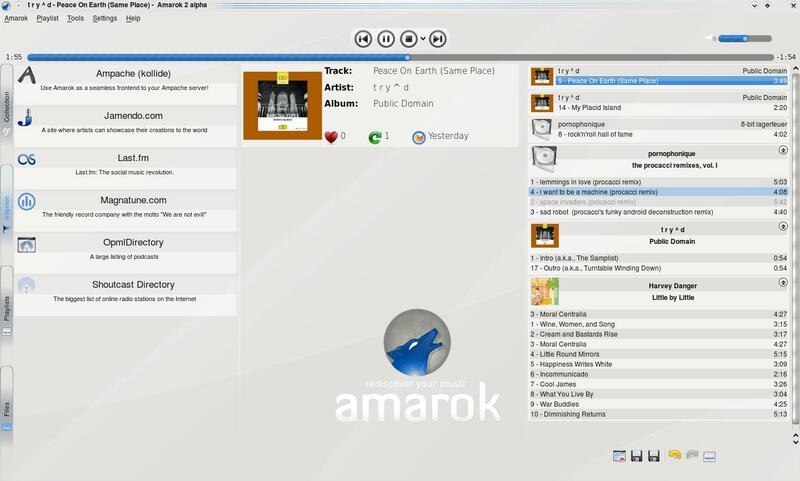 And as you may know Amarok is also part of it. Hehe, ok I suspected as much because of the Amarok connection, but upon reading the story it seemed a little weird. Harvey Danger! Nice choice in music. Malina is a solar deity in Inuit mythology. She is found most commonly in the legends of Greenland that link her closely with the lunar deity Anningan, her brother. Malina is constantly fleeing from Anningan as the result of strife between the two (legends vary as to the cause). Their constant chase is the traditional explanation for the movement of the sun and moon through the sky. This is great stuff! Well done and keep up the good work! Previous Previous post: But it is looking shiny!